Sir Oliver Joseph Lodge (1851-1940) was a British physicist and writer who invented electric spark ignition for the internal combustion engine (the Lodge Igniter). In Birmingham 1903, Alec and Francis Brodie Lodge (two of Oliver’s sons) founded Lodge Brothers, to produce electric ignition coils. 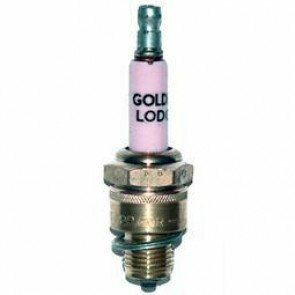 Lodge Bros had started to sell plugs when the introduction of the Bosch magneto made their heavy coil system obsolete. It was H.G. Longford of the Sphinx Sparking Plug Company who made this suggestion and that the Lodges should design their own plugs and let him manufacture them. 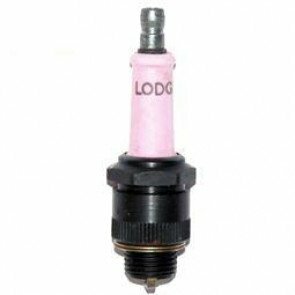 Alec Lodge’s designs were superior to the plugs of the day and became known for sparking plugs suitable for motor cycles, cars, motor boats and for gas and oil engines as well. In 1908, Bernard Hopps formed the Mascot Company and took a patent out for making a gas tight joint in a plug by means of fused glass. In 1913, Lodge Bros and Mascot joined together under the name Lodge Sparking Plug Company. 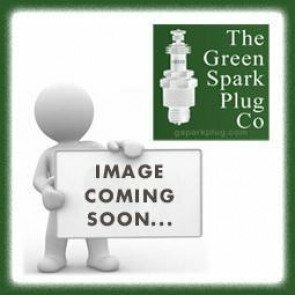 Motorists benefited from an efficient, gas tight, non-detachable plug. Lodge continued to produce coils, distributors and an electric lighting set. The Lodge Sparking Plug Company were labelled a Controlled Establishment (a private company supplying the armed forces under the control of the Ministry of Munitions) and instructed to concentrate on aero plugs. As a result of their research, two advances helped Lodge to establish its unique position. The first was copper sheathing to disperse the heat in the electrodes and the second was the mounting of the washers within the body of the plug. In 1916 Lodge moved into new workshops and offices in St Peter’s Road, Rugby. In 1919, the name shortened to Lodge Plugs Ltd. Lodge decided to concentrate on the land market in 1920, as it was believed that aeroplanes would not be widely used again for some time. Over the next few years Lodge Laboratories worked on new methods and new designs. Alec Lodge and Bernard Hopps worked on producing an improved insulator from aluminium oxide. In 1935 his research led to the arrival of Sintox (a pink ceramic plug) that came from sintered aluminium oxide and had thermal, electrical and mechanical properties. Mosquitos broke the record for the Atlantic crossing using Sintox as did the Lancaster flying laboratory “Aries”, carried out its flight over the North Pole. 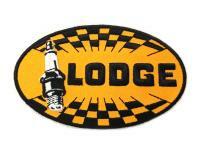 In 1938 Alec Lodge died which left Hopps and Brodie in charge of the business. Between 1939 and 1945 they doubled their output and the firm was registered as "an undertaking under the Essential Works Order." 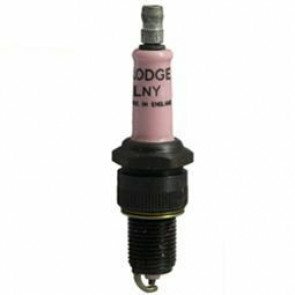 Lodge produced plugs for almost all kinds of internal combustion engines such as motor torpedo boats, air-sea rescue launches, landing crafts, all varieties of military vehicles such as tanks and stationary power equipment. Lodge had to adapt their plugs to be used in flame-throwers and radio screening fittings were made in large quantities for the new radar branches. The RAF and American Army were its biggest customers and bought more than three-quarters of their production. The pace of aero-engine development during this time was rapid as the stresses were too much for the existing plugs. The increased heat of the engine and the reduction of lead in the fuel corroded the nickel electrodes. This reduced the life of the plug to no more than a few hours of flying time. Platinum electrodes were seen as the solution to this but two problems had to be overcome first. It was hard to fix the platinum electrode to the steel body of the plug. The Lodge scientists devised a method of melting the steel around the electrode with an electric current then allowing the steel to contract onto the platinum. The second problem was that the high boost engines, such as the Rolls Royce “Merlin” which were installed in the Hurricane and Spitfires, meant that the platinum alloy was blown off. The Lodge laboratories invented the “S” alloy, which was an electrode of thoriated platinum, made by a powdered metallurgy process. These developments were valuable as the life of a plug was now more than three hundred hours. The “S” alloy created a demand among the airlines and some plugs were standardised for firms such as Rolls-Royce and Bristol. Brodie retired in 1949, Bernard Hopps became its Managing Director and Chairman and the company was launched on the Stock Exchange. 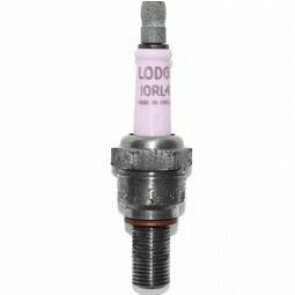 In the 1960’s, Smith Industries purchased Lodge Plugs Ltd. Smith Industries already owned KLG Plugs and until 1982 sold plugs under both names. After this, production moved to Italy and the product was sold as the Golden Lodge. The factory in St Peter’s Road still supplies Sintox products in the distinctive pink colour but it is now marketed as part of Morgan Advanced Materials Ltd (Rugby division). 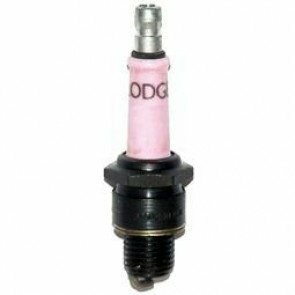 The Green Spark Plug Company and Lodge Spark Plugs. 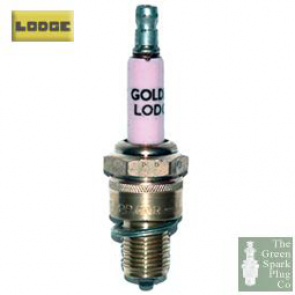 Our British made Lodge spark plugs are the last remaining stock from the 1970’s. The stock is reducing but we do buy any Lodge surplus stock that we can source. You can buy Lodge spark plugs through our website or we are available for telephone enquiries and orders.